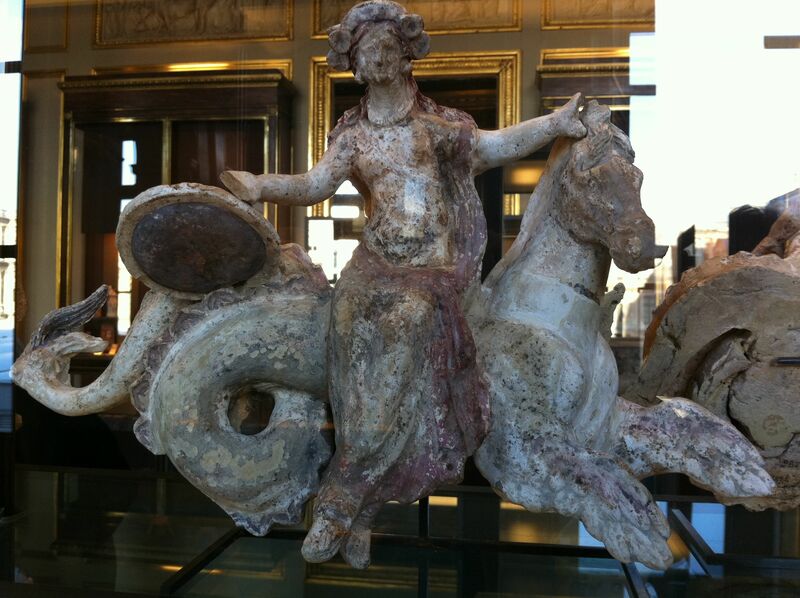 Thetis Riding a Hippocampus, Carrying Achilles’ Shield. Terracotta Statue in the Louvre, ca. 400 BCE.